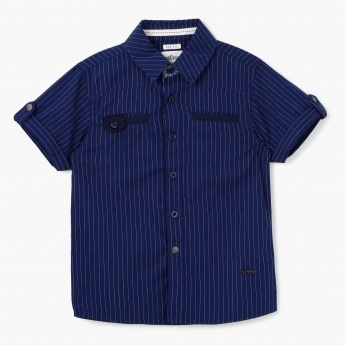 Smart and stylish is what your little boy will look wearing this striped shirt. 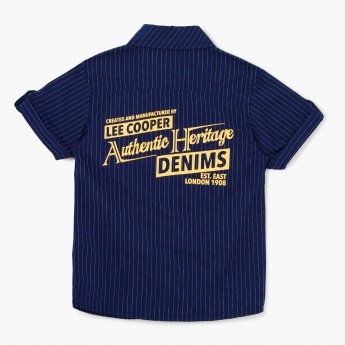 It features a front button placket, short sleeves with tabs, spread collar and attractive pockets on the front. The print at the back adds to its appeal.